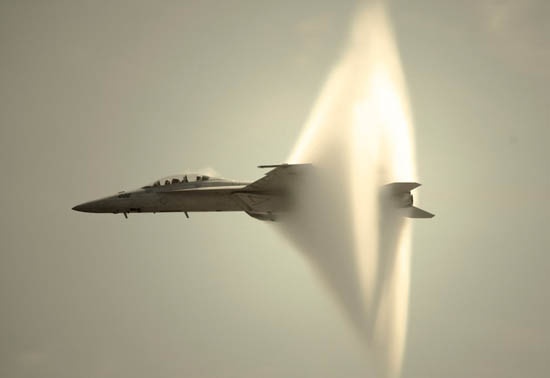 Sound travels at about 760 miles per hour, or 340 meters per second and about 661 knots on an average day at sea level. And sometimes, you can almost see it. Going close to that speed through air can cause some unusual visual effects. This compiled footage includes F-14s, standard and Blue Angels F-18s, plus the SR-71 and an Atlas Rocket launch. AVweb contacted sources at NASA to research the phenomena.